-- Please Choose an Option --Policies listed on the warranty tab below. 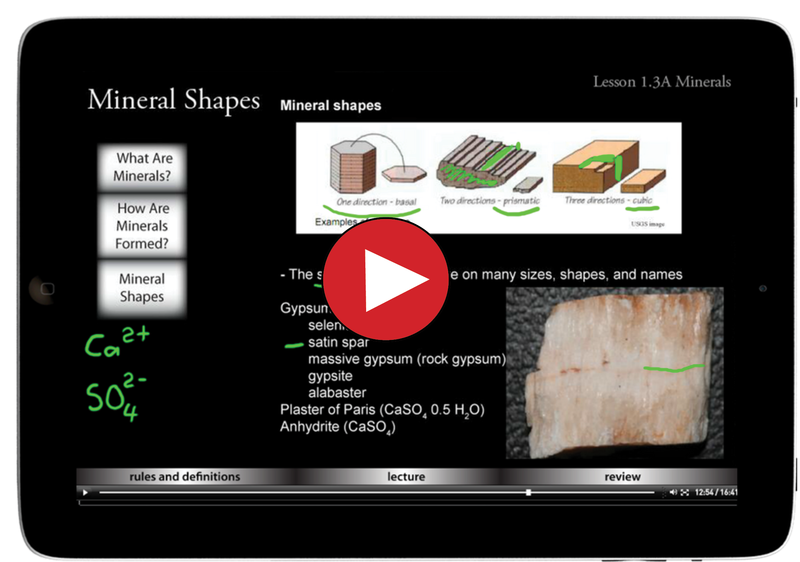 Watch the Introductory Lesson below to see how the eLearning course works. Hosted in our state-of the-art eLearning campus, this self-paced course offers several advantages over the CD and Download formats. All homework, facts practice, and quarterly reviews are interactive learning activities that are completed online, automatically graded, and the grades are stored in an online gradebook. Parents can reset assignment and change grades anytime. Also, there is no CD to lose or damage, and you can access your course anywhere, from any computer, tablet, or iOS device. Although this is a 32 week course, this subscription is for 12 months which allows plenty of time to complete the course and allows extra time for planning, vacations, illness, etc. After purchasing this course for the first child in your family, a Sibling Subscription can be purchased for the other children in your family at a reduced rate. 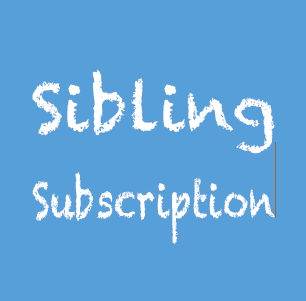 Select the blue Sibling Subscription icon to the right for more details. DIVE Earth Science teaches all the concepts found in a typical middle grades Earth Science curriculum, plus a whole lot more! With a special emphasis on the ever-broadening field of flood geology, this course teaches students to look for the pattern of Creation, Flood, and Ice Age that is present everywhere on our Earth’s surface. How Do I Purchase & Access My Course? The course is set up on a 32 week schedule with two lectures, two worksheets, 20 definitions, and one lab to complete each week. Every 8 weeks there is a Quarterly Review, which can be used as an exam for high school students. The lecture and lab videos average 20 minutes each. Labs can be completed hands-on but it is not required. Here is our recommended schedule but feel free to adjust for your family. Featuring colorful pictures and graphics, Dr. Shormann teaches every lesson on a digital blackboard. During the lecture, students take notes and work problems with him, pausing and rewinding as needed. The video lecture has all the required information so there are no required reading assignments. The definitions, facts practice, video lecture, review questions, and video labs will provide ample opportunities to learn everything they need to know. With DIVE Earth Science, students will learn to wisely discern between scientific research and natural history research. DIVE Earth Science teaches students about the power of our God, who is powerful enough to create a universe in 6 calendar days! Biblical history is trusted as true history. Another goal of DIVE Earth Science is not to support current consensus views, but to teach students how to search for truth. We have much to learn about our past and present, and DIVE Earth Science aims to provide a solid education for the next generation of explorers! The weekly video labs teach students everything from how to use Google Earth to how to build and fly a model rocket. Many lab activities include experiments that teach the student to use the scientific method. At the end of each lab, the student grades their work using the video solutions. The student should grade their own work as this is part of the learning process. 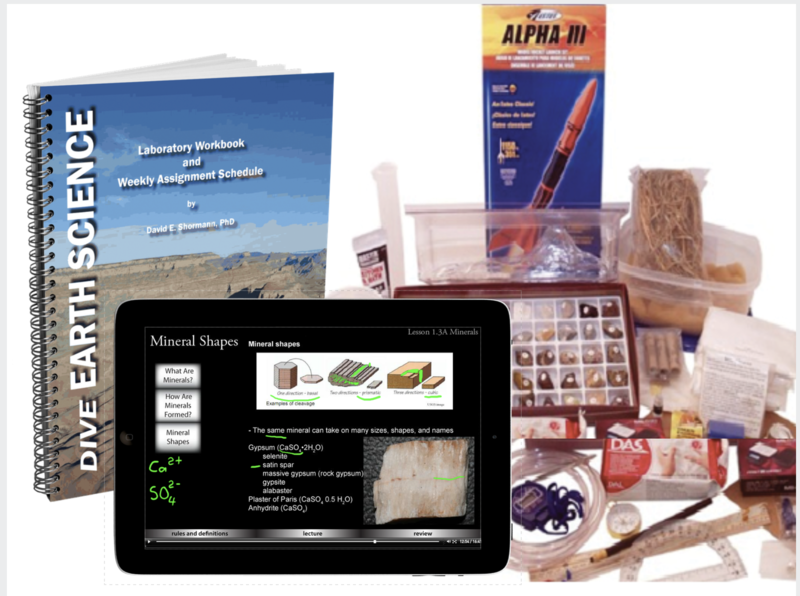 While students can simply watch the video labs and complete the activity sheets in the included Lab Manual, Nature's Workshop has created a Lab Kit for DIVE Earth Science. A lab supply list is included in the Teacher's Guide. Typically recommended for 7th or 8th grade, this course can be modified for use as a high school course by administering the quarterly reviews as exams and adding quarterly reports on a related topic. 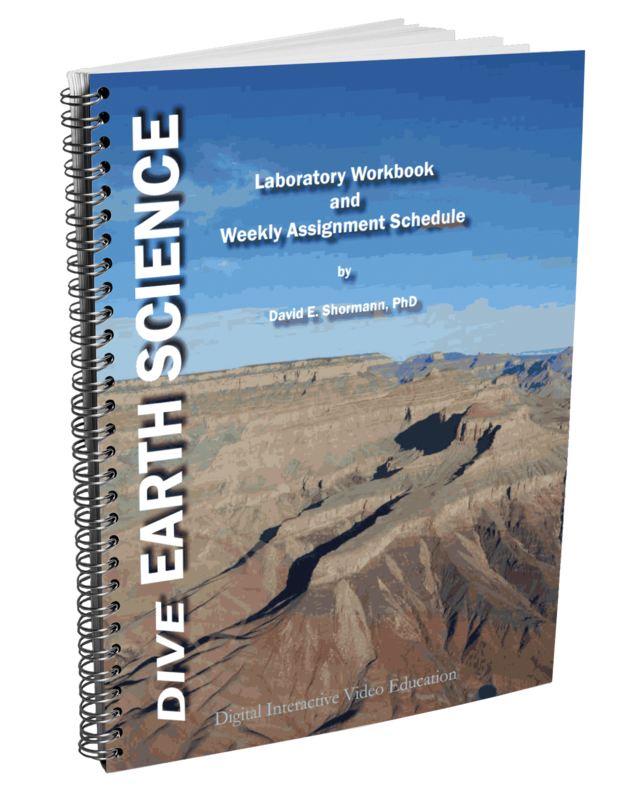 While students can simply watch the video labs and complete the activity sheets in the Lab Manual, Nature's Workshop has created a Lab Kit for DIVE Earth Science. A lab supply list is included in the Teacher's Guide. This is what the DIVE Earth Science lectures look like. There are 2 lectures each week, an "A" and "B" lecture. PLEASE NOTE: The Flash controls do not work on the YouTube version. DIVE Earth Science lectures average about 20 minutes each. 3. A unique email address is required to enroll each student. 4. Login emails are sent within two business days. “I had given up on finding a Christian-based Earth Science curriculum for my 9th grader that didn't require me to struggle to teach it myself, until a friend discovered DIVE. There are great, beautifully illustrated, Christian-based Earth Science curriculums out there, but unless you have a science background, it can be difficult to teach it yourself when you get to the upper grades. We especially struggled with the lab experiments. We would be all excited when the box of interesting-looking, colorful (and expensive) lab supplies arrived, but would soon be bogged down in trying to follow detailed instructions we couldn't figure out. DIVE Earth Science COMES WITH A TEACHER giving the lecture and demonstrating the labs while giving step by step lab instructions on VIDEO. The suggested weekly schedule breaks the lessons down into digestible pieces that don't overwhelm the student. The student learns to take notes during a lecture - a crucial skill they will need to have in college. They are encouraged to use their notes to take the review quizzes and they quickly learn that the better notes they take, the better they do on the quiz! The curriculum is affordable - $80. Lab supplies have to be purchased separately, but the good thing is that the teacher says you can do as many or as few of the experiments as you want or can afford because they can watch the experiments on the video. Of course, you are encouraged to do as many as you are able since we do learn more by doing. Overall, I have been very pleased with this curriculum and highly recommend it! As a professor myself PhD-prepared, I am SO grateful to have come across this amazing top-notch curriculum for my middle-schooler who I homeschool. We struggled to find math and science curriculum that is cutting edge and rigorous until we found DIVE. I count it as a privilege that our son has access to a PhD-prepared scientist teaching the lessons, such as Dr. Shormann. Homeschool should be cutting edge, no less rigor than other types of schooling public or private. Our son has a learning disability (dyslexia) also and Dr. Shormann has unlocked our child who now says he wants to be a scientist or mathematician. Without Dr. Shormann's curriculum our son would not have access to his full potential nor would he be now on an AP math and science track for high school.. Thank you Dr. Shormann for creating DIVE and for your dedication to high quality rigorous curriculum for homeschoolers! Personally, I think most of what is taught in earth science courses is boring BUT Dr. Shormann makes this topic so much more interesting. He's very engaging and I absolutely love how he always ties what he's teaching back to the truth of scripture. This is a challenging course and I was nervous that my 7th grader would struggle but he's doing very well and I believe it is because of the way the course is laid out and the fantastic way Dr. Shormann teaches. Finding his courses has been a great blessing! Great course for my 7 th grader. She's really learning how to take notes & study for upper level courses. I think it's great preparation for high school. We tried another curriculum, and it did not ignite my children with a passion for Science like DIVE has done. My daughter looks forward every day to learning something new about the earth, rocks and minerals. She now wants to be a seismologist, and the lectures, although challenging, and the note taking not her favorite, she is eager to learn. I especially am very grateful for the biblical approach, as I hear Dr. Shoreman talking about how great is our need to learn about the things God has given to us so we can take care of those things. Thank you Dr. Shoreman and DIVE staff. My daughter says "I recommend it because it has a great hands on program for the visual learners. Also .. it's good!". This program is very well laid out and organized. My son really looks forward to his Science class. The independent nature of this program makes it very easy for him to stay on top of his lessons. The automatic grading makes my life easier as well. The diagrams and pictures are well done. It is a challenging and engaging program! Thank you! My son likes the organization and lectures. It is not boring, and structured very straight forward and thoughtful, using review questions, digital flash cards, etc. I appreciate that it is God and Bible centered and based. Thank you! My son really didn't care for Science until we started this program. I find that the more he is challenged the more he is determined to succeed and this course was just what he needed. This course is presented well and is a great aid to homeschooling. I am very happy with DIVE Earth Science. I was able to get my son started in a matter of minutes. It was planned out, organized and had very good instructions on how to get started. The material is easily understood and manageable. It is a computer based curriculum that I can afford without compromising quality. It is God centered and honoring. I am very thankful for the program.